I have a pretty big day of crime fiction-related interviews tomorrow (Thursday NZT). Before work in the morning I'm interviewing Michael Koryta, the award-winning author of the Lincoln Perry series of novels, as well as the standalones ENVY THE NIGHT and the soon-to-be-released SO COLD THE RIVER. I'm looking forward to this interview, as I've heard great things about Koryta, and I really rated his novel THE SILENT HOUR last year (see my review of the book for the Nelson Mail here). 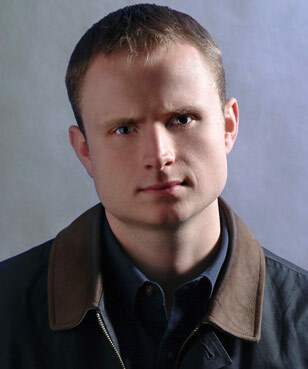 It should be an interesting interview, as Koryta is one of the 'young lions' of crime fiction, so to speak. Michael's first novel, TONIGHT I SAID GOODBYE an Edgar finalist, was published when he was just 21 and an undergraduate at Indiana University (I feel so old). He has also been a private investigator and award-winning newspaper reporter. He now divides his time between Bloomington, Indiana, where he teaches at the Indiana University School of Journalism, and St. Petersburg, Florida. You can see a cool little YouTube video of him talking about his upcoming book SO COLD THE RIVER, below. The Koryta interview is for a feature in an upcoming issue of Good Reading, the Australian books magazine, but I will also make sure I weave in the 9mm questions etc, and share other parts of the interview with you here. 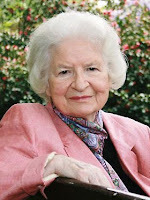 Oh, and I've just been informed that tomorrow night after work, I have a phone interview with PD James, the 89-year old peer of the realm and crime fiction legend. Gulp. I've interviewed people who've sold tens of millions of books, high-profile sports stars, leading politicians, and key businesspeople, amongst others over the past couple of years - but I must say I'm a touch nervous about interviewing Baroness James. So yeah, tomorrow is a pretty big day. More on the interviews later. So, are there any questions you'd like me to ask either Michael Koryta or PD James? Anything you'd like to know about them? I'll check the blog early tomorrow morning before the Koryta interview - so get your questions in as a comment below, and I'll try to weave the good ones in. Have you read their books? Are you a Lincoln Perry fan? An Adam Dalgliesh fan? Both? Thoughts and comments welcome. I love P D James and love the detectives involved! Also I have done a review on her books and have another two which I just picked up. PD James is responsible for my interest in the mystery. I hadn't read any mysteries in years and then I happened to catch the BBC dramatization of one of her Dalgliesh novels on PBS' Mystery Theatre and was hooked. I went out and started reading all of hers that I could find. I've now read all of her Dalgliesh novels. Because of her, I started watching Mystery Theatre regularly and was introduced to Inspector Morse and Brother Cadfael and John Le Carre's George Smiley and Miss Marple and so the list goes on. Something to ask the Baroness? When's her next Dalgliesh novel coming out? I am a huge fan of Adam Dalgliesh. P.D. James, Ruth Rendell and Colin Dexter were my first finds when I grew up, and I would certainly feel daunted if I knew I was going to speak to P.D. James on the phone. Both authors were fantastic interviewees. I spent an hour speaking to Koryta in the morning before work, and an hour speaking to Baronness James in the evening. Two fantastic bookends to a busy day. Koryta was smart, engaging, and interesting. PD James was delightful - sharp as a tack, and really open, honest, and down-to-earth. I feel privileged to have interviewed them both. I watched an interview with PD James on a PBS Mystery program years ago. She came across the same way--very practical, down-to-earth. I got the feeling from her last Dalgliesh mystery that the series was coming to a close--perhaps one more coming. His assistants were making plans for their future when he retired, which seemed imminent. Talking to her last night, she is open to another Dalgliesh story, but at the same time they take her about 3 years to write, so she is clearly concerned about starting one and being unable to finish it, or rushing one to get it done - I think she hasn't dismissed the idea of another Dalgliesh story, but is happy to have finished the way it did in THE PRIVATE PATIENT, if that ends up being the final one. She also seemed a little disappointed that the last couple haven't yet been made into TV dramas. Yes, her last one could stand as the final novel, with all seemingly going into an unknown future. If they do make them into TV dramas, I hope they get Roy Marsdon back. Their choice of a substitute for him is one of the worst cases of miscasting that I've ever seen.